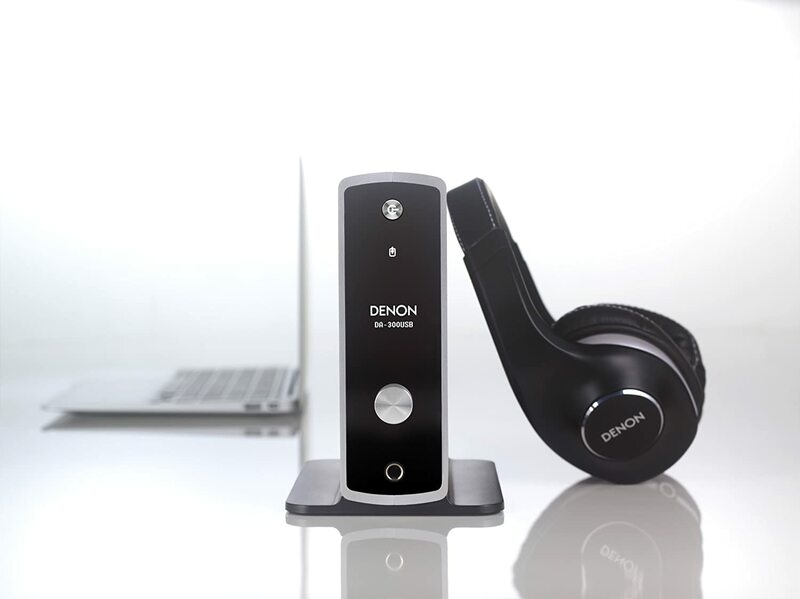 Denon's DA-300USB is a compact digital-to-analog converter and headphone amplifier that connects to your PC or Mac via a USB cable, and features premium design, technology and components similar to our highly praised universal disc players. Today's music fans are relying more and more on their computers for music streaming, internet radio and playing music tracks. But, compared to a quality component audio system, the sound quality from computers is very often not up to par. 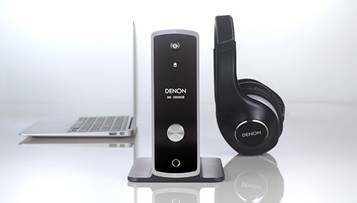 Featuring a premium high resolution PCM1795 32 bit, 192 kHz D/A converter, the DA-300USB is also equipped with Denon's exclusive Advanced AL 32 processing, which delivers improved detail through the critical midrange, providing a noticeable clarity improvement especially with softer sounds. The DA-300USB provides dual use functionality, with fixed line level stereo analog outputs for connection to an audio system, along with a separate dedicated headphone amplifier section with its own volume control. Both can be active at the same time. In addition to the USB connection, the DA-300USB also features 3 additional digital audio inputs - 2 optical and 1 coaxial for connection to other digital audio sources, such as a disc player, game console, media players and cable or satellite tuner. The USB port supports asynchronous transfer mode, for smooth, uninterrupted listening, and is compatible with both PCs and Macs. In addition to decoding traditional PCM digital audio, the DA-300USB also provides DSD decoding (Direct Stream Digital - the high resolution audio format of SACD). Both native DSD streaming and DSD-over-PCM (DoP) are supported. Internally, the DA-300USB is equipped with no less than 7 individual circuit boards, to ensure the highest isolation between circuit blocks. 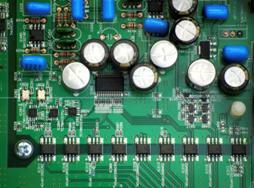 The two largest boards contain the main DSP processor and the D/A converter sections. To ensure the cleanest, most jitter-free signals at the critical D/A converter stage, the DA-300USB features 18 channels of on-chip micro air transformer isolators, which can better handle ultra high speed data streams compared to conventional optoisolators. The DA-300USB is also equipped with dual master clock crystals, for compatibility with the widest range of sampling frequencies. The elegant chassis features an OLED display on the front panel, which shows the input selected, the digital audio format and the sampling frequency. The DA-300USB can be positioned either horizontally or vertically, and an internal sensor determines the orientation and rotates the display output accordingly. For vertical placement, an attachable bottom plate is included. The Touch Control feature lets you quickly cycle through the inputs at the touch of a button. The line level outputs feature 2V fixed level output for compatibility with the widest range of powered speakers, amplifiers and pre-amplifiers and the headphone output features its own separate buffered amplifier stage, along with a standard-sized 6.3mm/¼" jack and a front panel headphone volume control knob. 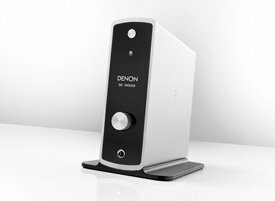 The Denon DA-USB D/A Converter and Headphone Amplifier measures 2.3" x 6.7" x 7.2" (H x W x D, with knob and feet for horizontal mounting). It measures 6.9" x 4.5" x 7.2" (H x W x D, with knob and attached stand for vertical mounting), and it weighs 3.3 lbs.